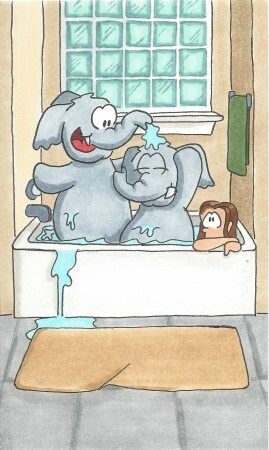 Note: most tubs are rated for one elephant at the most. Who let the elephants inside? and spill it on the floors. That irksome crowd is mighty loud. They can’t control their trunks. They break the walls along the halls. They stink like sixty skunks. there’s not much room for us!